These Highlands School Partners will donate back to our school when you use their services, shop in their stores or use their products. Amazon donates 0.5% of the price of your eligible AmazonSmile purchases to The Highlands School. AmazonSmile is the same Amazon you know. Same products, same prices, same service. Support The Highlands School by shopping at AmazonSmile. You will be asked to search for your school. Our name for AmazonSmile is "Highlands School Inc". Once you start looking, you'll see these little pink coupons everywhere! Each Box Top coupon is worth 10¢ for The Highlands School. Turn in your collection of Box Tops to child’s homeroom teacher at any time. Colored printers, classroom furniture, carpets, and even outdoor sunshades have all been purchased with this money in the past. 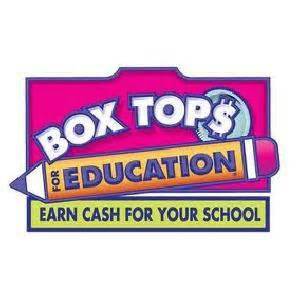 Check out Box Tops For Education for more ways to save while donating to our school! Earn money for The Highlands School every time you shop at Kroger and use your Kroger Plus Card. Create an account and link your Kroger Card here. You must register once a year to continue earning for The Highlands School. For every online book purchased, the school receives a percentage of sales.